Jordan King had a good start again and moved up two places to the 15th position. Mahaveer had a driver’s worst nightmare instead. He stalled his car at the start of the race. 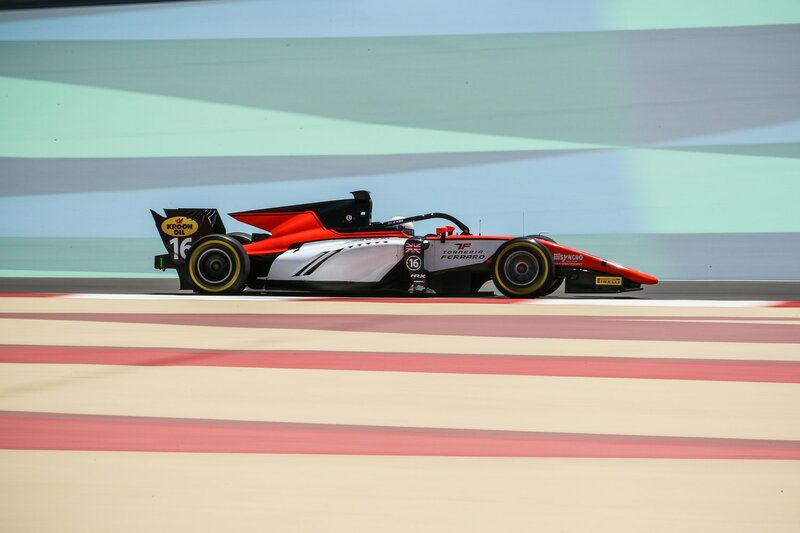 Jordan moved up to the 11th position in his thirth lap.Everybody knew that the tyres were going to struggle again and some of the drivers gambled on making a pitstop in this sprint race. Jordan King was one of them and decided to make a pitstop in lap 12. He dropped back to the 17th position and had a 39-sec gap to the leader of the race.Jordan managed to get back to the 10th position with four laps to go. More and more drivers started to struggle with their tyres. The drivers who gambled on a pitstop were going 4 sec faster than the drivers without a pitstop. This helped Jordan King to finally finish the race with one point in his pocket.